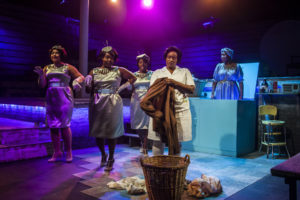 EXTENDED thru 11/11 “Caroline, Or Change” (Firebrand Theatre): Sensational! Review “9 TO 5 THE MUSICAL” (Firebrand Theatre): Firebrand Working It! Review “Lizzie” (Firebrand Theatre): Killer Rock Opera Slays!